Available in 4 Styles: Curly, Wavy, Flick & Falling Curls and 25 colours. HIGH QUALITY HEAT RESISTANT HAIR FIBRE -Feels silky and soft just like real human hair. Glamorous look guaranteed within minutes. Looks and feels just like human Hair. 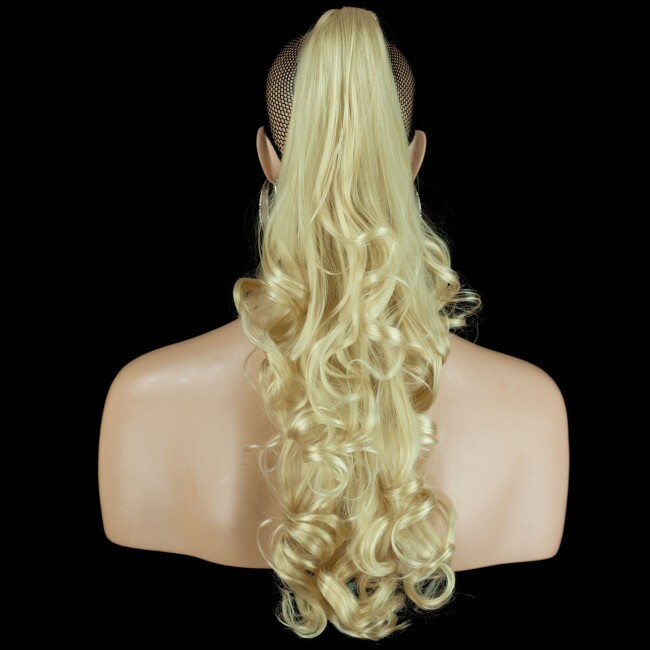 This is becoming the most popular hair extension available. Wear it from the gym to work a 5 star restaurant or on the catwalk. Wear them high, low or on the side, braid, bun or try them worn to the side, or simply create your own style latest fish plait style. Get the tail and turn the heads! Elegant and easy maintenance. Having a bad hair day or do not have time to style your hair, just clip and go! On a budget we will make you stand out from the crowd with your purse still full! Instant makeover in minutes, having a bad hair day, no time for styling or just want to look elegant with no fuss then ponytails are the solution. Reusable, washable, will keep their style even after washing, quick to fit. Same Day Shipping with orders placed before 2pm. Free Colour Exchanges. 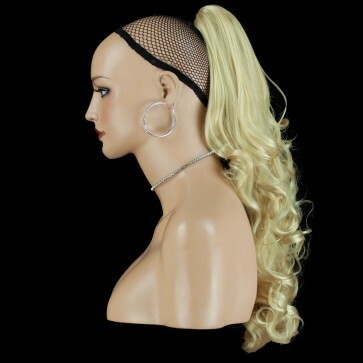 Elegant Reversible Ponytails works wonders. Only takes a few seconds to fit for a fast transformation, Very handy if you are in rush! Elegant Reversible ponytails design give you 2 styles in 1 This means, you will get a different style and length once it is turned upside down. 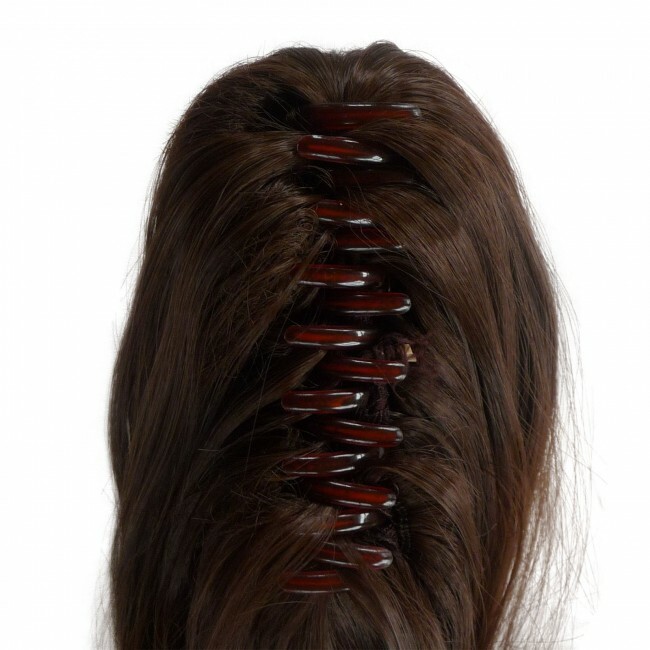 This is becoming the most popular hair extension available. Wear it from the gym to work to a 5 star restaurant or on the catwalk. Wear them high, low or on the side, braid, bun or try them worn to the side, or simply create your own style latest fish plait style. Get the tail and turn the heads! Elegant and easy maintenance. Having a bad hair day or do not have time to style your hair, just clip and go! On a budget we will make you stand out from the crowd with your purse still full! Instant makeover in minutes, having a bad hair day, no time for styling or just want to look elegant with no fuss then ponytails are the solution. Reusable, washable, will keep their style even after washing, quick to fit.